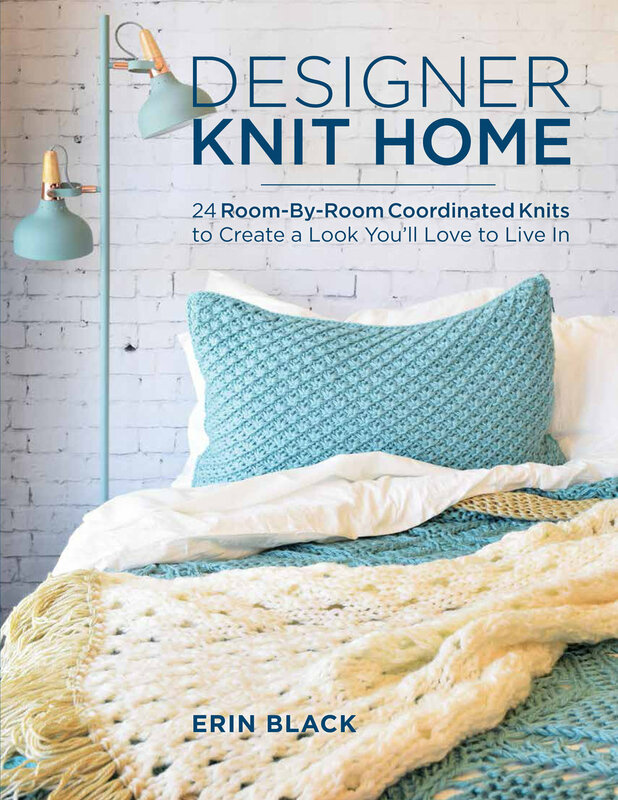 Sign up with your email address to receive news, updates and your FREE copy of the knitting pattern below! 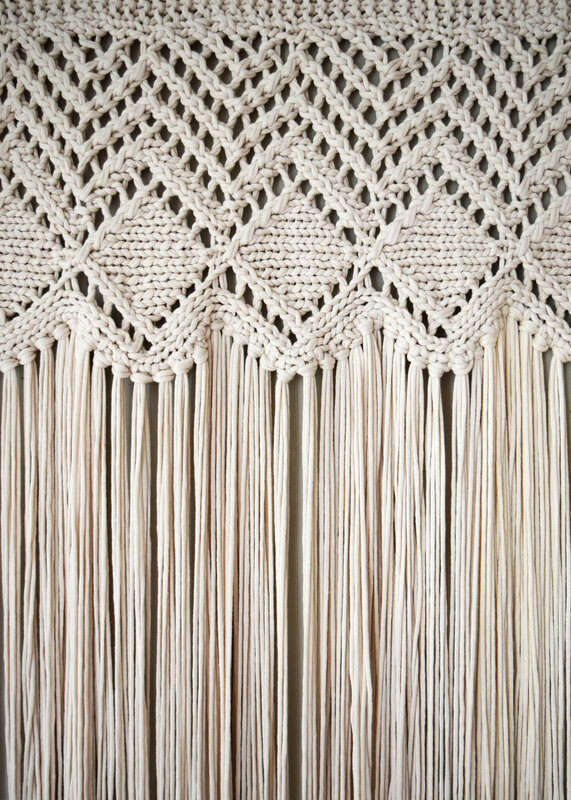 This fringed curtain knits up quick using two strands of bulky weight yarn held together as one. This gorgeous piece works well as either a curtain or a wall hanging and is worked side to side, so creating the width you want is a breeze. Subscribe above to automatically receive your Free copy! Height: *8" (20.5 cm) not including fringe. *top will stretch to approx 12” [30.5 cm] high with weight of fringe. Knit, purl, K2tog, P2tog, Double decrease, Yo.